Four distinct map of Seville spain are lying in front of me on my desk and I am not sure exactly how they got into my hands, but lucky to have them. I said they are different but all have one common objective – to help people enrich their knowledge of Seville, be these people from this delightful city, from a neighbouring town, another place in spain or from far away. All these people need to be shown the way or informed about a special events and where and when to enjoy it. 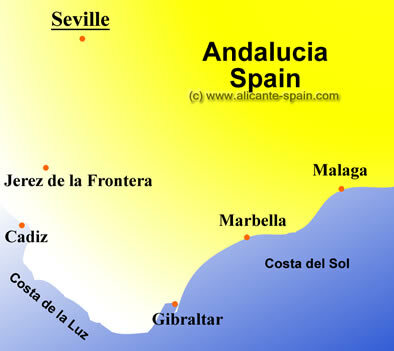 With all these map of Seville we can get an overview of the whole province and all its interesting places whether they be monuments, churches, or natural attractions. We can learn the best combination of roads to take if we do a car hire in Seville, what timetables to follow if travelling by public transport, exact location of tourist attractions, restaurants and essential services such as information booths, consular offices and hospitals. If we are arriving at Seville airport, we will probably need to have airport transfers from Seville airport and on the map of Seville city, the hours and bus numbers are shown. If we are to arrive in the city by car, we will need a map of Seville spain which show the roads accessing to the city, wanting to take the one which get us to our Seville hotels. Once inside the city, having gotten settled in our rooms, we venture out onto the colourful and spanish music filled Sevillian streets. Not wanting to get lost nor lose time, we open up our map of Seville to find out where we are and how we can get to where we want to go the quickest and cheapest way possible. 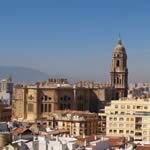 Having a good map of Seville city, we can organize our timetable of visits to be able to see all. The cuisine in the south is very special and the people take great pains in preparing and serving their delicacies so we definitely need to search for these eating places, many clearly marked on the map and sometimes even better, just follow the crowd. Two very extensive maps which can be bought here in spain are put out by the Real Automovil Club in Spain and the other is from Michelin. These two are excellent references for road travelling, eating well and sleeping well. They can be acquired in many different languages and very handy to have. One of the other map of Seville is given out free from the Town Hall and is the Official Plan and travel guide map for the world famous April Fair. All of Seville, especially the streets and the lay out of the city completely changes and if you have a regular map of the city of Seville you might not be able to use it. 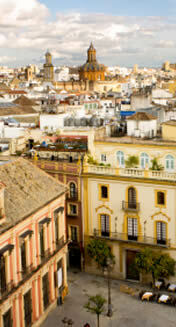 Seville is divided into eight neighbourhoods or districts and during this festive street party, each one of these eight areas has their own party tents and the best part of this celebration is to be an active part in each, therefore it would not be our pleasure to miss out on anything by getting lost. So, open up your best backpack and start packing: a camera and lots of film if it is not digital, an extra pair of comfortable dancing shoes, a big smile and of course, a map of Seville Spain.